Becoming Healthier with Sherrie: Who Do You Surround Yourself With? Don't pinch yourself, yes you're seeing a new post! Ha! I've really got to get back to blogging regularly. I've noticed when I'm struggling emotionally and trying to stay positive, that lack of blogging is typically part of the issue. There's other things that might be going on, such as stress at work, not being able to workout as much as I would like to, or it seems my hormones are all whacked out when I'm getting ready to start my monthly cycle. Sorry fellas, this is life and we all know it! :) And the thing is, when I have all these things going on, instead of putting up my walls and shutting people out (because then they think I'm mad at them) that's when I really should be getting on here and blogging. It really helps me release any frustrations or anything that might be bothering me at the time. Anyway, I've been extremely bored today because I didn't workout and didn't go to work, so sitting at home all day I was starting to get kind of bummed because my mind litterally is spinning and I ALWAYS overthink things and make my situation worse. So, after shedding a few tears when I was alone, I thought to myself, it's only ONE freaking day! And, so I decided to quit feeling sorry for myself and thought I would see when I posted something last. I was quite disappointed in myself that I've only posted two things this month, and it only was in regards to the June challenge. I know this blog doesn't only help me stay focused and motivated, but it helps so many others all over the world, that I thought I've got to get better at getting on here more often. Even if it's just a quick, hey life is great, with a quick motivational quote. One of the things I was really thinking about today, is no matter how discouraged I become, it never fails that there are always several of my FT brothers and sisters who are always there to encourage and motivate me to keep pushing and giving my all. Even when I have a day like today where I don't step foot in the stuido, and I haven't even seen them, the positive messages they send me always make me feel better. As you go through your own health and fitness journey, and as you have those moments where you struggle, just take a moment and look at your surroundings. And when I say surroundings, I don't mean "things", but the people in your life. Are they supporting and encouraging your efforts, or do they bring you down and discourage you by their negative comments and actions? 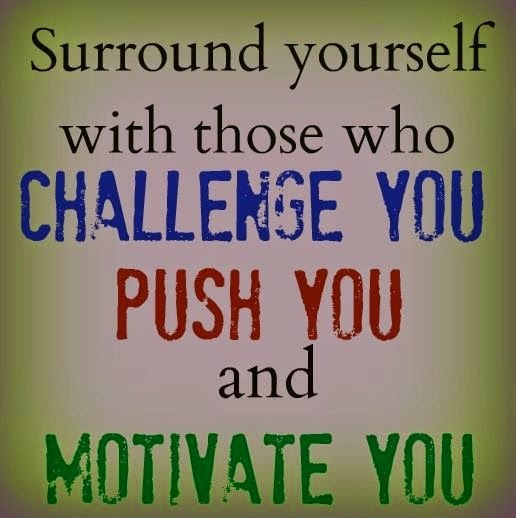 Make sure you're surrounding yourself with those that challenge, push, and motivate you. That's why I love my FT family so much, because I'm able to do all these things for them, but when I'm down and struggling they do the same for me. Oh, and the reason why I didn't go to work or workout today was because last night I got my first tattoo (pic below)! What's special about this one is it represents a major milestone in my health and fitness journey, and that I'm really close to being under 200 pounds for the first time in like over 20 years! When I got right below 215, it really hit me that I'm getting really close. And Michael, the owner of Fitness Together and my biggest supporter, always has a way of helping me stay focused on my goals. One of the things he came up with was the U2, which represents "Under 200". When I would start to struggle in a workout, he would always remind me of my "U2" goal and would continue to push me harder, even when I wanted to cry. So, when I deciced to do the tattoo, I contacted the guy I was referred to, gave him the elements and this is the design he came up with. I wanted something that represented my fitness journey, and I love all the weights and the kettlebell is one I use A LOT! And then I wanted the U2 and one of the many quotes that has helped me stay motivated, "I DON'T MAKE EXCUSES, I MAKE RESULTS". The flowers and colors the tattoo artist came up with and it added that pretty, femanine touch to the design. I LOVE IT! But, I was recommended to not workout the next day, and because it was my first tattoo I took the day off from work so I could wear my tank top for a few days to make sure it heals properly. Now, I still have a few pounds to go before I get under 200, and I was really hoping to hit that goal before I got the tattoo, but as Michael reminded me when he said, "You'll get there. It's not a matter of IF, but WHEN you get there!" And I also started a 24 day Advocare challenge Monday, so I'm hoping once I'm done with the challenge I'll be under 200! Now, if you are here in the Tulsa area, you know I'm ALWAYS encouraging you to contact Michael Watkins (owner) or Keith Jacobs (manager) at Fitness Together Downtown or Fitness Together Jenks/Riverside, and I still strongly encourage you to do so if you are serious about getting healthier and want the best team of trainers in the business. Make sure you tell them Sherrie aka Shui sent you! :) But, if you're in the local Tulsa area or even outside the local area, and are interested in the 24 day Advocare challenge I'm doing or their products, Michael Watkins is a distributor and I encourage you to check out his site. Click here to go directly to Michael's Advocare site and check it out. If you have any questions regarding the Advocare challenge or any of the products, he would be more than happy to answer them!